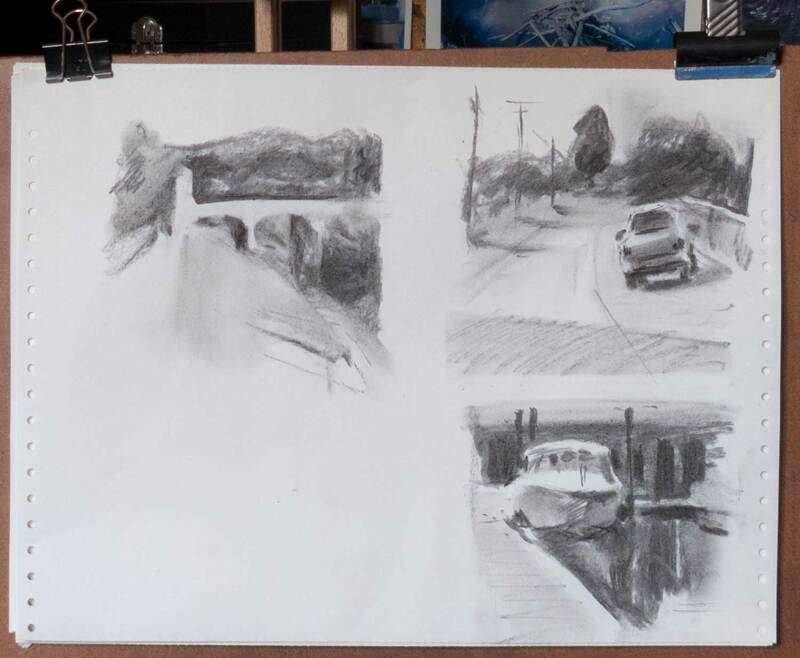 Inspired by a post by Terry Miura and the striking composition of Ed’s recent sketches, these are quick value studies of various photos. 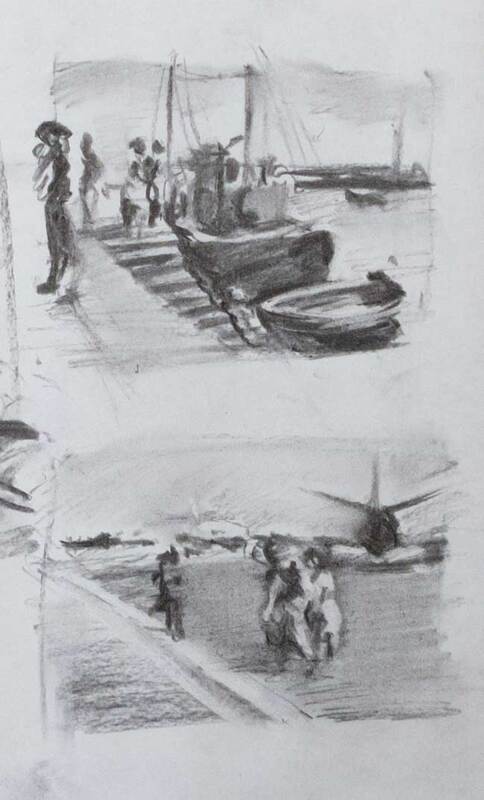 Value studies are a useful way to see if a picture will hold together as a composition before committing to a larger painting. Terry Miura’s post explains the process and thinking and is well worth a read. I used vine charcoal on cheap printer paper for these studies. It smudges very easily which can be an advantage as you can lighten or even erase an area just by touching it. Large areas of tone can be laid down by quickly scribbling over an area then smoothing it over with a finger. Very often this process will erase or blur something you want to keep, so the darkest darks will need to be reapplied. Once you get used to this smudging-then-reapplying dance, it’s a very quick and satisfying way to draw thumbnail sketches.